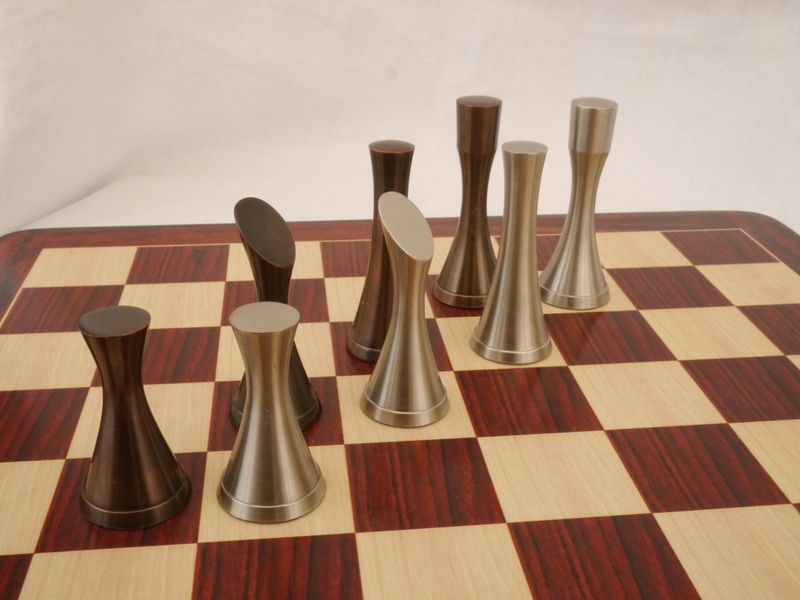 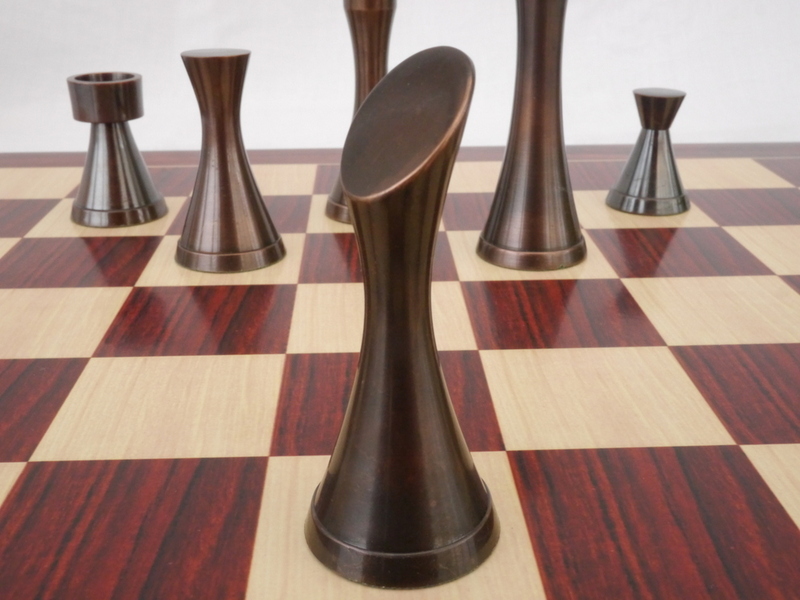 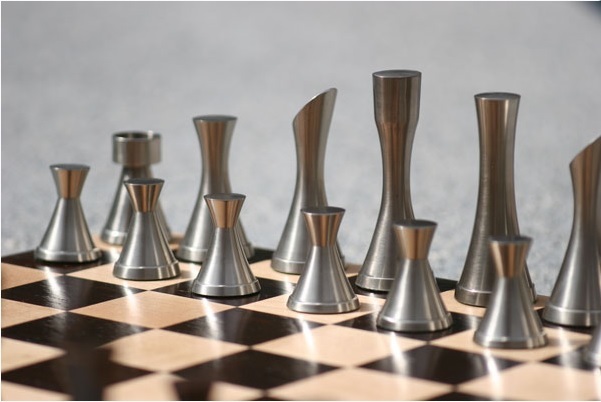 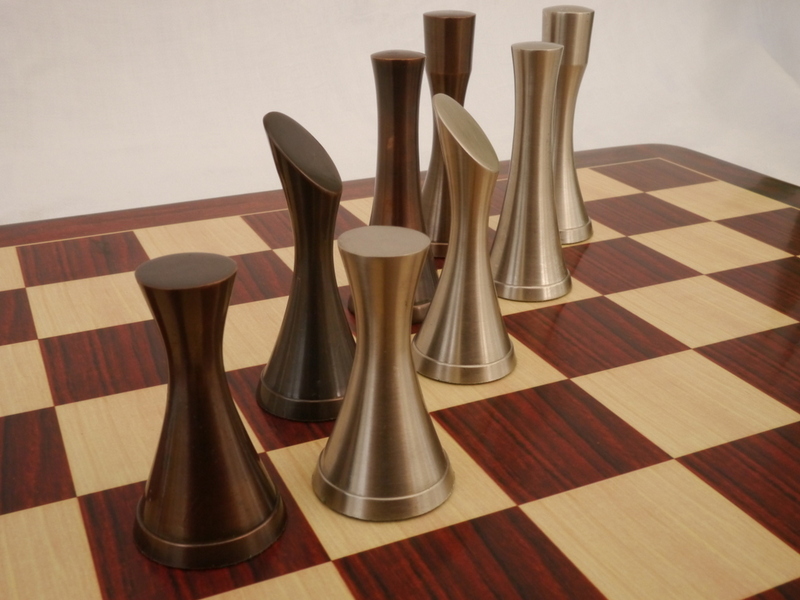 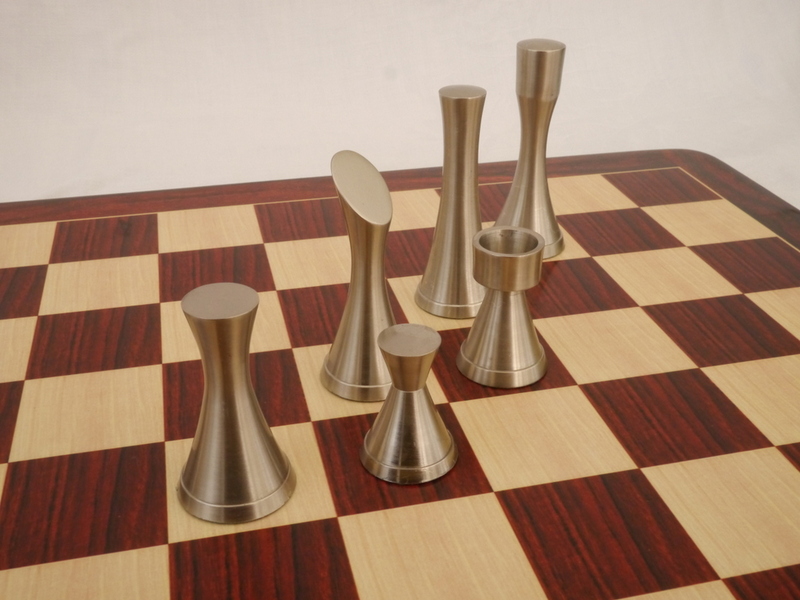 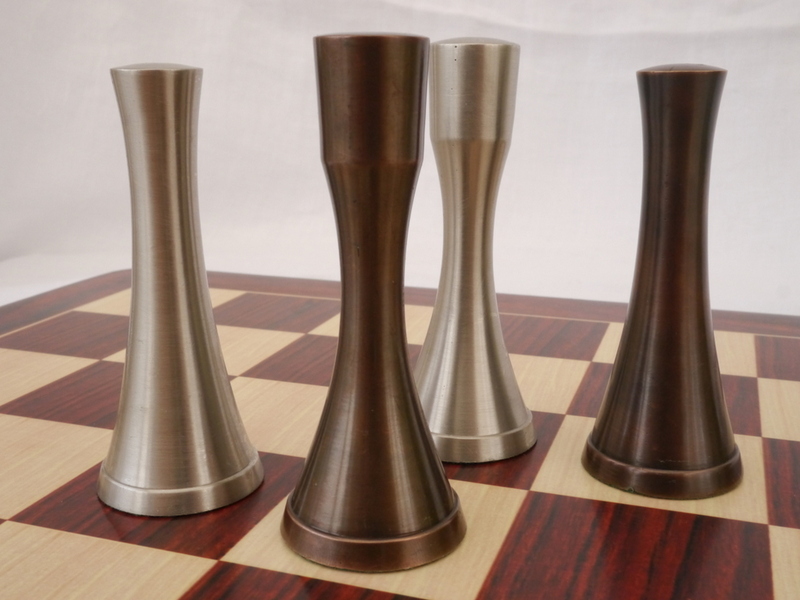 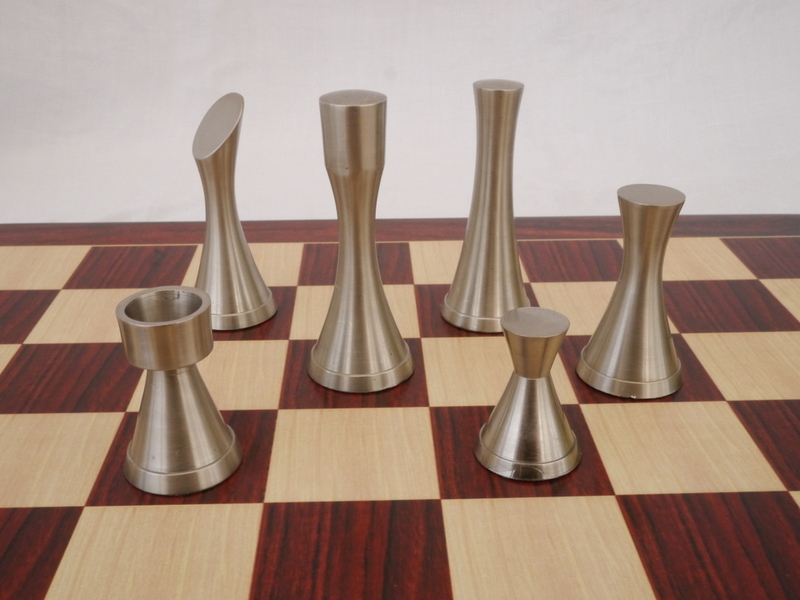 This product from Chess Baron: Contemporary heavy pewter and copper finish chess pieces based on the Yves Tanguy chess set, as featured in the US TV program White Collar. 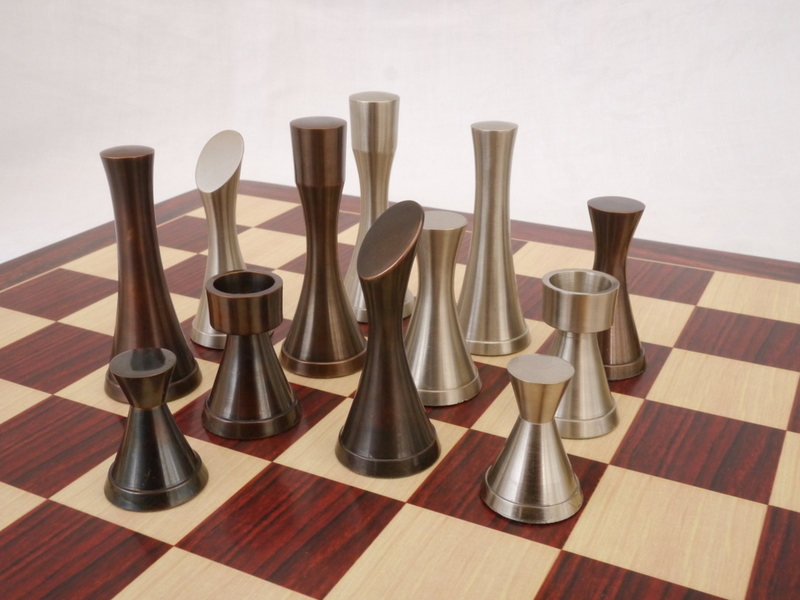 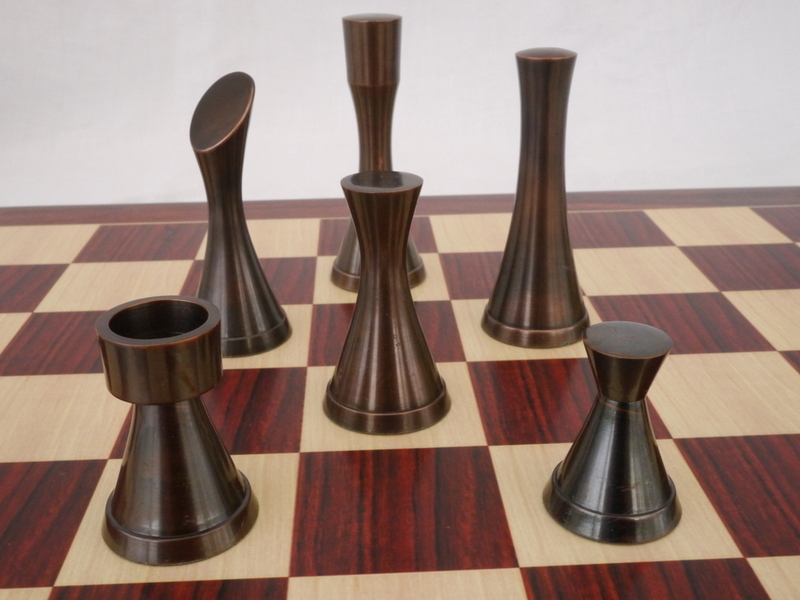 The original Tanguy chess design was very simple, with each piece made from a broom handle. 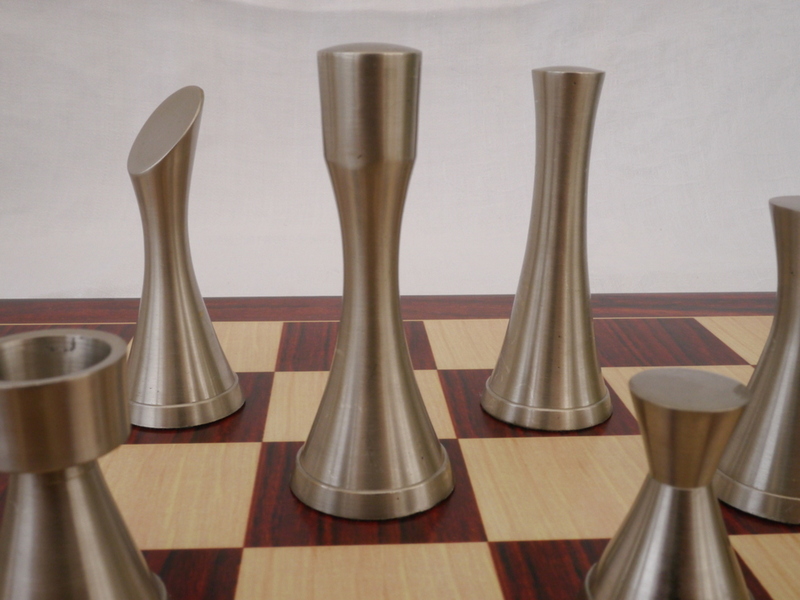 This has been vastly improved by adding styling in both material, weight and base widening.